To see the Apple logo emblazoned, front and center, in the living room on a 50″-ish HDTV and not just tucked away on the desk in the office or bedroom or den, but where everyone lives–what a branding opportunity. 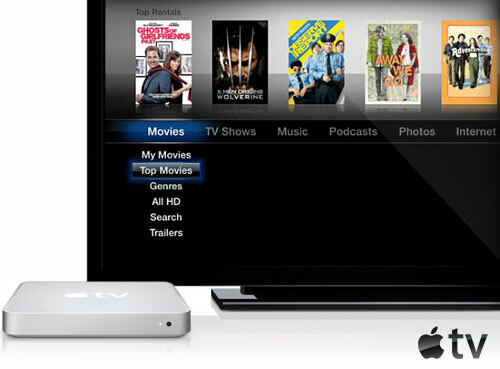 Not that Apple has ever created a product just for the sake of brand-building, but if there was ever the perfect blending of meeting a need in an arena where brands are defined like no other, creating an HDTV that wirelessly ties into the iTunes store and runs Front Row so brain-dead simple and right out of the box, this would be it. If Jason Calacanis from Valleywag is correct as reported in Nate Lanxon’s blog on CNET UK, which I originally found the link on TUAW’s Rumor Roundup) (link-love spread around), it might finally be taking shape in Cupertino and even more importantly, close to being released to the public.